The Princess Bride is my favorite movie of all time. There was a point in my life where I could recite the entire movie, line by line. But even the most dedicated fans of movies don’t always pick up on some of the more subtle aspects. In one of the movie’s most iconic scenes, the Man in Black (Cary Elwes who is later found to be Westley) and Vizzini (Wallace Shawn) go head to head in a Battle of Wits. The battle will result in one of them being dead. Aside from the humor provided by Vizzini’s perceived rambling and his comical moment of death, the scene reveals how brilliant he actually was. Of course, he still died and ‘lost’ the Battle of Wits, but the result takes away from how he ingeniously attempted to discern the location of the poison. The first thing to realize in this scene is that Vizzini knows he can’t simply guess where the poison is. He needs to get Westley to expose the location of the poison. While he rambles about divining what he knows about Westley, this is just a smokescreen. Vizzini is simply playing poker. He goes on and on about the poison being in different locations, while watching Westley for facial queues and body language that might give up his position. Vizzini’s ability to continue coming up with new ways of saying the same thing while simultaneously monitoring Westley’s reactions is an impressive feat of mental gymnastics. Eventually, Vizzini realizes he’s not going to get a good enough read on Westley and changes tactics. 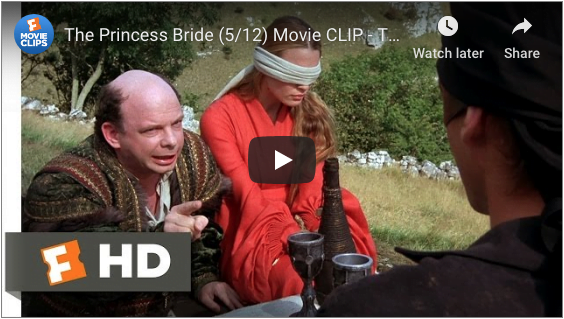 The tone of the Battle of Wits changes at about 1:40 in the clip above when Westley accuses Vizzini of stalling. This tone is accented by a change in the musical score at the same time. You’ve beaten my giant which means you’re exceptionally strong, so you could have put the poison in your own goblet trusting in your strength to save you, so I can clearly not choose the wine in front of you. But you’ve also beaten my Spaniard which means you must have studied, and in studying you must have learned that man is mortal so you would have put the poison as far from yourself as possible, so I can clearly not choose the wine in front of me. The quote is telling. Vizzini can’t choose either goblet – and he knows it. He must get Westley to choose for him. Vizzini knows that no man would willingly drink from a cup that will kill him. So he has to see which cup Westley is willing to drink from. This is where Vizzini issues his distraction. Westley turns his back and Vizzini quickly swaps the cups around. But why? While the switching of the cups might seem trivial at first, let’s break down what it really means. 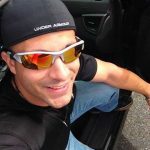 Vizzini has considered 2 possibilities, either the cup initially placed in front of him was poisoned, or the cup initially in front of Westley was poisoned. If Westley’s own cup was poisoned, he would refuse to drink entirely because no man would willingly drink from a cup he knew to be poisoned. If the cup initially in front Westley was safe, he would drink without hesitation. Since Westley drank from what he thought was his own cup without hesitation, Vizzini knew it would be safe to drink from the same cup (which he actually had). It’s why he waits until Westley drinks before he he confidently smiles and sips from the goblet. As we all know, both cups were poisoned and Vizzini died. He failed to take into account the possibility that both cups (or neither) were poisoned. Westley never specified and his entire strategy relied on this assumption. Where is the poison? The Battle of Wits has begun. It ends when you decide and we both drink… and find out who is right, and who is dead. Vizzini’s fatal mistake was entering into a Battle of Wits where the rules of engagement were made by his opponent. In reality, Vizzini was right – he could choose neither the wine in front of him, nor the wine in front of Westley. Unfortunately for him, he was also dead. Next Why do Guys Have an Obsession with Gamer Girls?